Great job Melanie (@melanieofoz) and Retro 80’s Trivia (@RetroPAT_78)!!! Hi Everybody! Welcome back as we finally conclude the countdown. I’m sorry it took so long to wrap this up, but sometimes real life happens. If you missed the previous songs, you can check out songs 40-31, 30-21, and 20-11. What a blast going down memory lane! Now, let’s Return to the week ending August 27, 1983, and wrap up the countdown. And don’t forget, if you click on the song title, you can see the video of the song. If you click on the album cover, you can listen to or purchase the song on Amazon. The great David Bowie re-invented himself once again with the Let’s Dance album. This classic was the second song released off of that album. Bowie was one of the many of our 80s icons that passed away last year. He is missed. Culture Club was one of the biggest acts in the early 80s. I was not on board with that at the time. But, now their music brings me some wonderful nostalgia. In my opinion, The Human League is very underrated. I really like this song a lot. It has that classic 80s sound. I also recommend their 2011 album, Credo. They still sound the same, which is great! I don’t like that number. I see lots of people my age, and lots of people who are younger than me, and I think, “Wow, those people look really old.” I think it’s because they didn’t try. If you want to stay young, you have to make an effort. If I wanna walk onstage in a short chiffon skirt and not look completely age-inappropriate, I have to make that happen. Or you just throw in the towel and let your hair turn white and look like a frumpy old woman. I’m never gonna go there. In the early ’80s, there were very few acts that were as hot as Men at Work. This was the third single released from their Cargo album, and peaked right here at #6. This cover of the Irving Berlin song was a huge hit for Taco, eventually peaking at #4. This made Irving Berlin, then 95, the oldest ever living songwriter to have one of his compositions enter the top ten. The disco queen, and fellow New Englander (Boston, MA), transitioned brilliantly into the ’80s, making this her signature song. This was another huge hit from the Flashdance soundtrack. The following year, he would release another song from a movie soundtrack – “Gremlins…Mega Madness“. This song was so overplayed that I would cringe every time I’d hear The Eurythmics. Luckily, enough time has been removed that I really love their music. I have no problem skipping over this one though. But, I love anything else they do. Speaking of overplayed songs, this was the king of them. I clearly remembering listening to the year end countdown in December, and being so disappointed that this was the #1 song of the year. I love just about everything else from the Synchronicity album. But I guess I’m a weirdo. At least it’s better than a stalker. That wraps up this week’s countdown. I hope you enjoyed this. There will definitely be more countdowns coming up. In the meantime, Keep your feet on the ground, and keep reaching for the stars. Hey Gang! Welcome to a new week of some Top 40 music! This week we will be checking out a Top 40 from 1983. At this time in 1983, I was just finishing up 7th grade, and getting ready for my last year of junior high school. A month from now, I would be going on one of my best childhood vacations. We went to Colorado to go see my grandparents for their 50th anniversary. That side of my family is scattered all over the country, so it’s always a great time when we all get together. We stayed with my aunt and uncle and 2 cousins. We had a blast! In addition to visiting my grandparents, we took several day trips, and hung out at a pool with a giant diving board. In between, when we were hanging out at the house, if Rocky III wasn’t on, then it was Six Pack, or The Who’s “final” concert. Those three shows seemed to be in heavy rotation on HBO at that time. We were constantly quoting Rocky III. Then the main event of the trip was my grandparents’ 50th anniversary party. All of my aunts and uncles, and most of my cousins were there, and it’s a time that I will always remember fondly. As far as the music goes, that last remnants of ’70s music was gone, and we were beginning to start the classic ’80s sound. So, I personally think this is going to be a fun week of music. Now, let’s Return to the week ending June 18, 1983, and begin the countdown. I did not remember this song at all. But, there is no mistaking which decade this song is from. The keyboards at the beginning, and a sax solo in the middle give it that classic ’80s sound. Christopher Cross had an incredible debut in 1980. He followed that up with 1983’s Another Page. That album included his smash hit “Arthur’s Theme (Best That You Can Do)“. It also had the song, “Think of Laura“, which was for the daytime soap opera General Hospital. I really enjoyed this song, “No Time for Talk”. It was a pleasant surprise for me, and a great way to begin the countdown. I’m so glad I’ve been able to finally find some Prince videos! This isn’t on YouTube, and it’s a little slower to load, but it’s worth it! I really enjoy Prince’s early work. This song was originally released in 1982. But, it did not crack the top 40. Then after “Little Red Corvette” came out, he gained many fans. So, “1999” was re-released and finally became a big hit, peaking at #12. Alabama was my gateway into country music. Throughout the ’80s, I hated country music – with the exceptions of Alabama and Kenny Rogers, and maybe a handful of songs. When I was in the Navy, almost everybody seemed to be a country music fan. It drove me crazy, and everybody was trying to get me to like it. But, we did find some common ground in the form of Alabama. The music is great, and their harmonies are just incredible. I eventually became a country music fan in the ’90s when rock and pop music were really sucking. 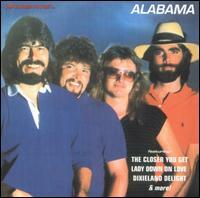 In the country music world, it seems like every song Alabama released became a number hit. “The Closer You Get” was no exception. I still like this one a lot. I do like The Eurythmics, but I did get sick of this song. It was always on MTV in those early days. This is not one of my favorites by them, but it is one of their signature songs. This was the first time I had seen Stevie Nicks, and I’ve been hooked ever since! Stevie Nicks was hugely successful with Fleetwood Mac, and helped send them into the stratosphere of success. But, she has had just as successful solo career. In the early days of MTV, this is one of the songs that helped launch that career. This is the second surprise of the day. Due to his smash hit, “Lady in Red“, I always that of Chris DeBurgh as an easy listening/lite rock staple. But, this song rocks! I mean there’s no confusing this with Metallica, but this song still rocks pretty good. 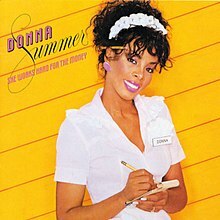 Donna Summer stepped away from disco, and released this MTV staple which would become one of her signature songs. 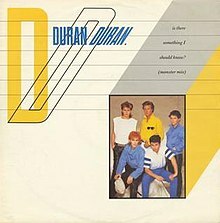 Fans of the podcast, Stuck in the ’80s, are very familiar with this song as it is the theme for their PPTMN segment (Please Please Tell Me Now). “Is There Something I Should Know?” was Duran Duran’s first #1 hit in the U.K. It was also a big hit in the U.S., peaking at #4. Duran Duran is just a flat-out classic ’80s band. And this song has that classic, unique Duran Duran ’80s sound. 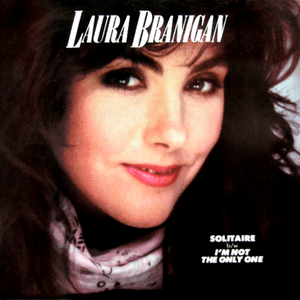 I cannot give Laura Branigan enough praise. I love all of her music, and she has an incredible voice. I think she is so underrated. This song was always one of my favorites by her. This song was the follow-up to “Gloria“, and became Branigan’s second consecutive Top Ten hit. I love these songs that start off low, and build up as the song goes on until the singer is really belting it out. It is done so well in this song. Well, that wraps up today’s list of songs. What do you think so far? Where were you at this time in 1983? We’ll be back to continue the countdown tomorrow. Welcome back to this weeks Countdown! If you missed the first 10 songs, you can still check them out. We have a pretty good variety of music today. We have Pop, Rock, and R&B. Oh, and maybe a little bit of…Disco [shudder]. So, let’s get to it, and Return to the week ending January 5, 1980. On with the countdown! 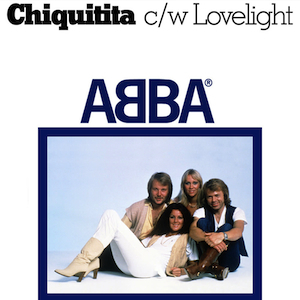 Unfortunately, in the U.S., Abba is mainly known for “Dancing Queen.” But, they were much more than that. They were a very good pop band. This was a nice song, which was their first single from the Voulez-Vous album. 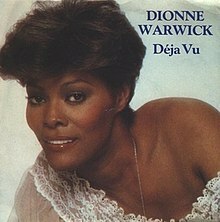 I think Dionne Warwick had many other songs that were better than this one. But, this song did win her a Grammy for Best Female R&B Vocal Performance. In a couple of weeks from now, Dionne Warwick, along with Glen Campbell, would host a 2 hour special called Solid Gold ’79. It was a 2 hour special which counted down the top 50 songs of 1979. It was so successful that in the fall of this year, Solid Gold would become a weekly series, hosted by Dionne Warwick. This isn’t a bad song by the classic rock band Foghat, from their Boogie Motel album. 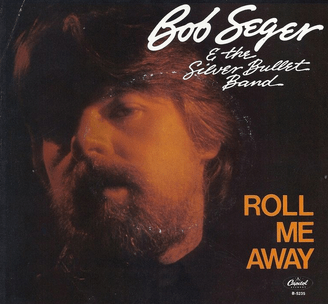 It’s definitely no “Slow Ride,” but it’s definitely a good late ’70s song. British prog-rock band The Alan Parsons Project were beginning to catch on in the States at this point. In the late ’70s/early ’80s, they were actually more popular in the U.S. than in their own home country. This is a pretty good song if you are into progressive rock. 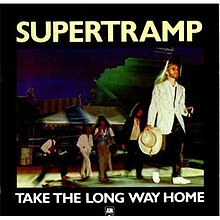 I’m sorry, but for some reason, Supertramp really irritates me. They had a string of hits in the ’70s, but whenever they come on the radio, and can’t turn the station fast enough. I love Fleetwood Mac, especially the Stevie Nicks songs. This is a nice ballad from the band’s Tusk album. 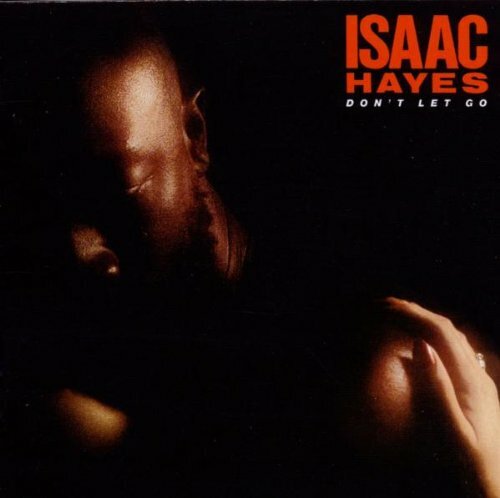 Yes kids, before he voiced Chef on South Park, Isaac Hayes was a huge Soul singer and songwriter. He co-wrote Dionne Warwick’s “Déjà Vu” from earlier in this countdown. He also co-wrote “Soul Man,” which was first performed by Sam & Dave, then further popularized by The Blues Brothers. And, of course, he is best known for providing the musical score for the 1971 movie Shaft, and won the Best Original Song Academy Award for the “Theme from Shaft.” This made him the third African-American, after Sidney Poitier and Hattie McDaniel, to win an Academy Award in any competitive field. 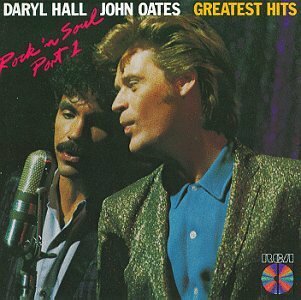 Well you can’t go wrong with a countdown that has a Hall & Oates song. I was not familiar with this one, but I do like it. This was from their 8th studio album, X-Static. 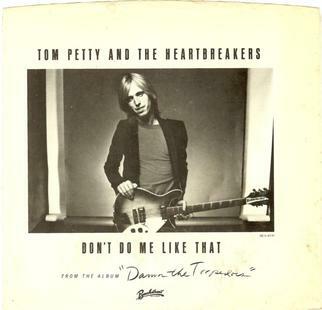 I kind of have to be in the mood for Tom Petty in order to listen to a lot of his music. After playing this song for the countdown, I discovered that I’m not in one of those moods today..
Let’s put it this way, this song finally gets better when the DISCO kicks in at the 1:45 mark. Yes, Disco actually improved this song. Thank you Donna Summer! 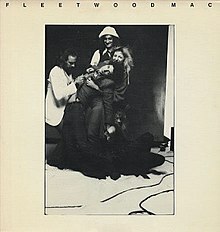 This song was recorded for Streisand’s album, Wet. It was also a new track on Donna Summer’s greatest hits album, On the Radio: Greatest Hits Volumes 1 & 2. That wraps up the countdown for today. Today wasn’t a bad day, but I’m hoping tomorrow will be better. I know that I love 4 of the songs that are coming up tomorrow, and I’m not familiar with 6 of them. Maybe will discover more awesome music tomorrow. See you then! It feels like this has been a weekly segment lately! Sadly, Donna Summer died this morning after a battle with cancer. According to TMZ, she was in Florida at the time of her death. She was 63 years old. She may be known as “The Queen of Disco”, with smash hits in the 70s such as “MacArthur Park“, “Hot Stuff“, and “Bad Girls“, but she continued to have success in our ’80s. What are you favorite Donna Summer songs?